At the age of 13, Lynda Fishman lost her mother and her two younger sisters in a plane crash. She was left alone with her father, who was so devastated he became a completely different person, retreating into himself. Emotionally, Lynda was alone for the rest of her childhood. 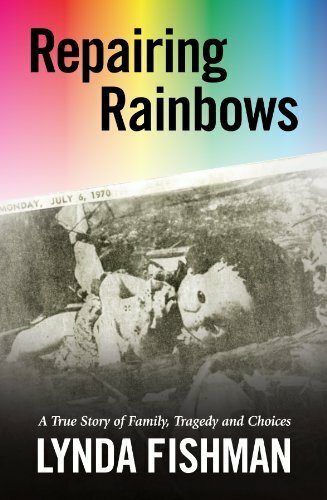 Repairing Rainbows is a deeply personal memoir of Lynda's journey from a tragic childhood to a joyful adulthood. She shares stories of her family life before the crash and shows the stark contrast to life after. She shares her pain and confusion as a young girl coming to grips with the loss of her family, and the strength she had to persevere and never give up on life as her father did. This was a very personal story. Lynda shares her honest thoughts and feelings through many experiences of her life ~ from the crash, to her father's remarriage, to her interactions with her extended family, even after her father cut ties with them. She also shares her husband's story of losing his mother as a toddler and his father as a teen. She shows how they each transcended the sadness of their tragic childhoods to find happiness together. This is a very moving and inspirational story. It was a little difficult for me as I read it just days before hopping onto a flight by myself, leaving my kids behind. It made me a bit more nervous as I thought of a plane crash taking me away from them as it had taken her mother from her. Luckily, I returned safely. If you enjoy memoirs, I think you'll enjoy this one. It drags a bit at times, but overall, it's a very interesting story. 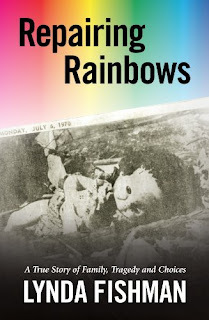 For more information about Repairing Rainbows and Lynda Fishman's story, visit the Repairing Rainbows website. This review was written based on a copy of Repairing Rainbows that I received from the author in exchange for an honest review.